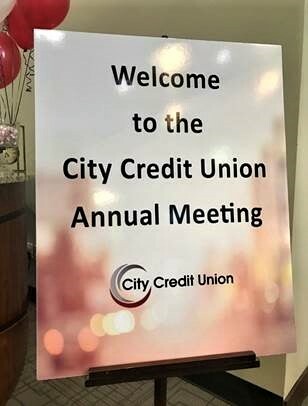 On March 28th, 2019, City Credit Union hosted our 76th Annual Meeting at our main branch on Ferguson Road. Several members of the Board of Directors and President and CEO Sharon Moore presented the 2018 Annual Report and shared City CU’s achievements and outstanding performance last year. The meeting highlighted City CU’s commitment to long-term growth and stability. Thank you to the City CU Board, our Members and Associates for another successful year!